Karl Kautsky was born in Prague, on 16th October, 1850. He became active in socialist politics while at the University of Vienna. In 1880 Kautsky moved to Zurich where he met and was influenced by the Marxist writer, Eduard Bernstein. Later, when living in London, he maintained a close relationship with Frederick Engels. Kautsky founded the Marxist journal Neue Zeit in 1883. The journal was published in Zurich, London, Berlin and Vienna. He joined the Social Democrat Party (SDP) and was responsible for drafting the Erfurt Program which committed the SDP to an evolutionary form of Marxism. 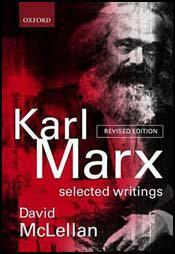 He also wrote and published The Economic Doctrines of Karl Marx (1887) and Thomas Moore and His Utopia (1888). Kautsky broke with Eduard Bernstein after he published Evolutionary Socialism (1899). In the book Bernstein argued that the predictions made by Karl Marx about the development of capitalism had not come true. He pointed out that the real wages of workers had risen and the polarization of classes between an oppressed proletariat and capitalist, had not materialized. Nor had capital become concentrated in fewer hands. Kautsky, like Eduard Bernstein, sided with the left-wing over Germany's participation in the First World War and in 1915 voted against war credits. In April 1917 left-wing members of the Social Democratic Party (SDP) formed the Independent Socialist Party. Members included Kautsky, Kurt Eisner, Eduard Bernstein, Julius Leber, Rudolf Breitscheild and Rudolf Hilferding. However, he continued to oppose the idea of a violent revolution. Kautsky returned to the Social Democrat Party after the war. He moved to Vienna and continued to write but was forced to flee the country after the German Army occupied Austria in 1938. Karl Kautsky died in Amsterdam on 17th October, 1938. The program adopted by the German Social Democracy at Erfurt in 1891 divides itself into two parts. In the first place it outlines the fundamental principles on which Socialism is based, and in the second it enumerates the demands which the Social Democracy makes of present day society. The first part tells what Socialists believe; the second how they propose to make their belief effective. We shall concern ourselves only with the first these parts. This again separates itself into three divisions: (1) an analysis of present day society and its development; (2) the objects of the Social Democracy; (3) the means which are to lead to the realization of these objects. The first section of the program read's as follows: "Production on a small scale is based on the ownership of the means of production by the laborer. The economic development of bourgeois society leads necessarily to the overthrow of this form of production. It separates the worker from his tools and changes him into a propertyless proletarian. The means of production become more and more the monopoly of a comparatively small number of capitalists and landholders. "Along with this monopolizing of the means of production goes the crowding out and scattering of small production, the development of the tool into the machine, and a marvelous increase in the productivity of labor. But all the advantages of this transformation are monopolized by capitalists and landholders. For the proletariat and the disappearing middle classthe small business men and farmersit means increasing uncertainty of subsistence; it means misery, oppression, servitude, degradation and exploitation. "Forever greater grows the number of proletarians, more gigantic the army of superfluous laborers, and sharper the opposition between exploiters and exploited. The class-struggle between the bourgeoisie and proletariat is the common mark of all industrial countries; it divides modern society into two opposing camps and the warfare between them constantly increases in bitterness. "The abyss between propertied and propertyless is further widened by industrial crises. These have their causes in the capitalist system and, as the system develops, naturally occur on an increasing scale. They make universal uncertainty the normal condition of society and so prove that our power of production has got beyond our control, that private ownership of the means of production has become irreconcilable with their effective use and complete development." The modern proletarian movement has two kinds of antagonists: one, the straightforward but brutal antagonists, propose to suppress and to crush it by force. This kind has already experienced so many defeats, its method has proved itself to be so abortive, that it is losing today, with the thinking and discerning capitalists themselves - at least for the time being - ever more of its credit. All the better does the other kind prosper that says: "Divide and rule," which, since forcible means do not avail, seeks to weaken the proletarian movement by splitting it. These opponents to the rule of the proletariat pose as its friends; they are not brutal but "ethical," and for this reason they are all the more dangerous. They artfully try to represent different proletarian organizations as being antagonistic; they appear as advocates of sections of the proletarian movement, in order to propagate distrust and even hatred against the entire movement. Some of these precious friends of labor avail themselves of national distinctions to incite workingmen against workingmen, others turn religious distinctions to the same account. However, the most intelligent and eminent among their number try to create discord between the trades union and the Social Democratic movement. These people always have in mind the example afforded by England. While on the continent of Europe the Social Democracy pushes ahead irresistibly and victoriously, in spite of special arbitrary legislation and of proscriptions, in spite of June butcheries and of bloody May weeks, the Chartist movement in England came to naught about the time when the trades unions were recovering ground, and so it happened that nowhere does the capitalist class wield today the political power more supreme than in England, the country possessing the most efficient, the most numerous the best organized, as well as the freest and most independent working class in the trades union movement. No wonder that this example should excite the envy of all wide-awake capitalist politicians and national economists on the continent of Europe and that their ardent efforts should be directed towards filling the reigning classes as well as the proletarians with enthusiasm for that English pattern. Part of the very problem which once again so keenly preoccupies our attention is the antagonism between the intellectuals and the proletariat. My colleagues will for the most part wax indignant at my admission of this antagonism. But it actually exists, and as in other cases, it would be a most inexpedient tactic to try to cope with this fact by ignoring it. This antagonism is a social one, it relates to classes and not individuals. An individual intellectual, like an individual capitalist, may join the proletariat in its class struggle. When he does, he changes his character too. It is not of this type of intellectual, who is still an exception among his fellows, that we shall deal with in the following lines. Unless otherwise indicated I shall use the word intellectual to mean only the common run of intellectual. Who take the standpoint of bourgeois society and who are characteristic of intellectuals as a whole, who stand in a certain antagonism to the proletariat. This antagonism differs, however, from the antagonism between labour and capital. An intellectual is not a capitalist. True, his standard of life is bourgeois and he must maintain it if he is not to become a pauper; but at the same time he has to sell the product of his labour, and frequently his labour. Power; and he is himself often enough exploited and humiliated by the capitalists. Hence the intellectual does not stand in any economic antagonism to the proletariat. But his status of life and his conditions of labour are not proletarian, and this gives rise to a certain antagonism in sentiments and ideas. As an isolated individual, the proletarian is a nonentity. His strength, his progress, his hopes and expectations are entirely derived from organization, from systematic action in conjunction with his fellows. He feels himself big and strong when he is part of a big and strong organism. The organism is the main thing for him; the individual by comparison means very little. The proletarian fights with the utmost devotion as part of the anonymous mass, without prospect of personal advantage or personal glory, performing his duty in any post assigned to him, with a voluntary discipline which pervades all his feelings and thoughts.